This is effectively the eighth edition of Aslib's flagship reference work, Handbook of Special Librarianship and Information Work, which has provided the seminal text on modern information theory, practice, and procedure since 1957. Scammell draws on a substantial background of research and best practice to provide a pragmatic approach to information management in the workplace. This volume covers strategic, legal, management, and marketing issues and highlights the importance of new web-based delivery mechanisms. 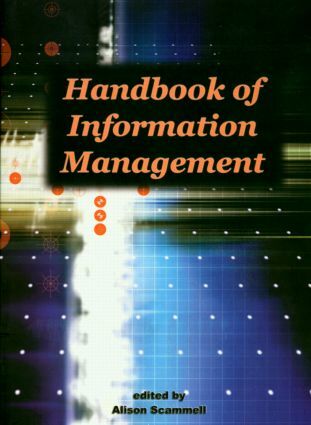 It includes contributions from outside the UK, mirroring the global nature of information management. * new topics including: freedom of information, project management, digital library research, the hybrid library, the effective website and the intranet.